When most people think of running they see it as a solitary sport, which can be true in some cases. Not everyone runs at the same pace, the same distance, and the same time of day. When you find that right partner it really can be a positive and motivating experience. For me, it was joining the FinKraft Team and being trained by renowned coach Roger Aspholm, founder of the group! 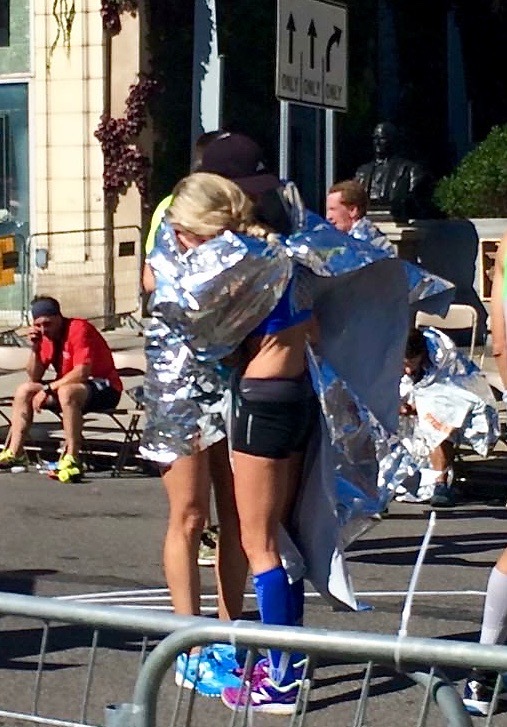 If you had a chance to read my Running Story, I would categorize myself as an advanced runner. Training several times a week, making time to compete and improving my pace wasn’t an easy feet to conquer, especially when there are 4 boys involved. I had to overcome several obstacles, but the love for the sport made the sacrifice all worth it. I knew getting back into true peak fitness after having 4 kids was not going to be easy. 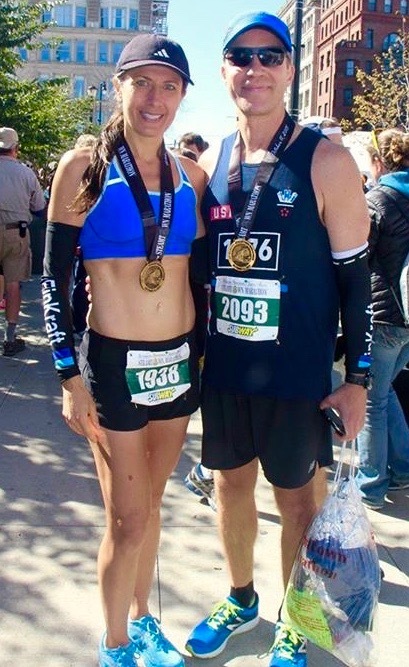 Fortunately, I met Roger Aspholm and he got me into competitive shape and I dropped my marathon time by 22 minutes! 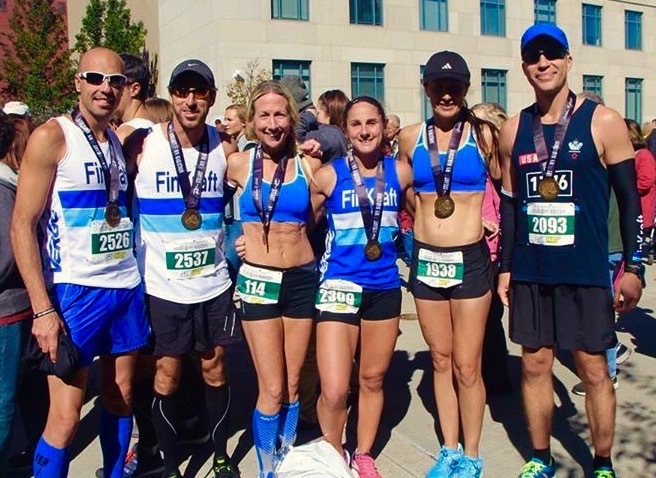 He put together a training program tailored to my needs which helped me achieve my marathon goal. When it came time for race day I was physically prepared, but most importantly, I was mentally ready for the challenge. 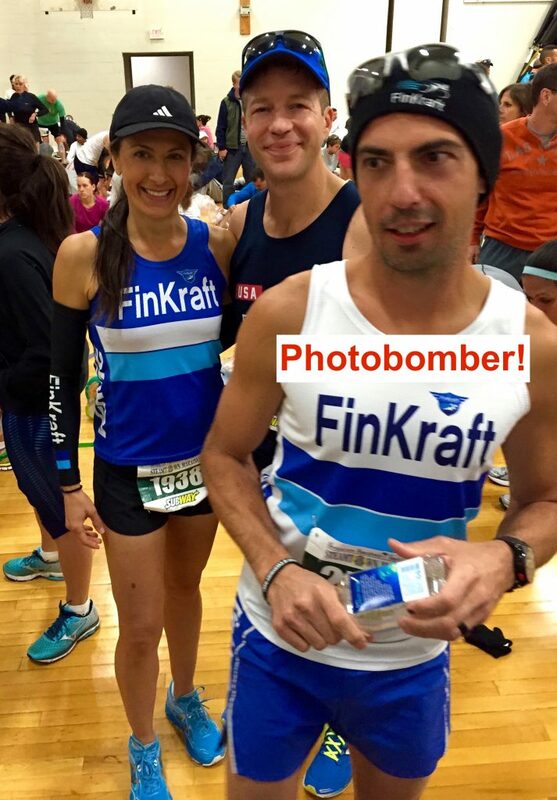 You have to admit most runners you meet are a bit crazy. They have to be to run for so many hours every week! With that nuttiness comes a great sense of humor which leads me to my teammates. They are very knowledgeable, supportive, motivating and most importantly, hilarious. An added bonus is my husband picked up running since we met and he is on the team as well. 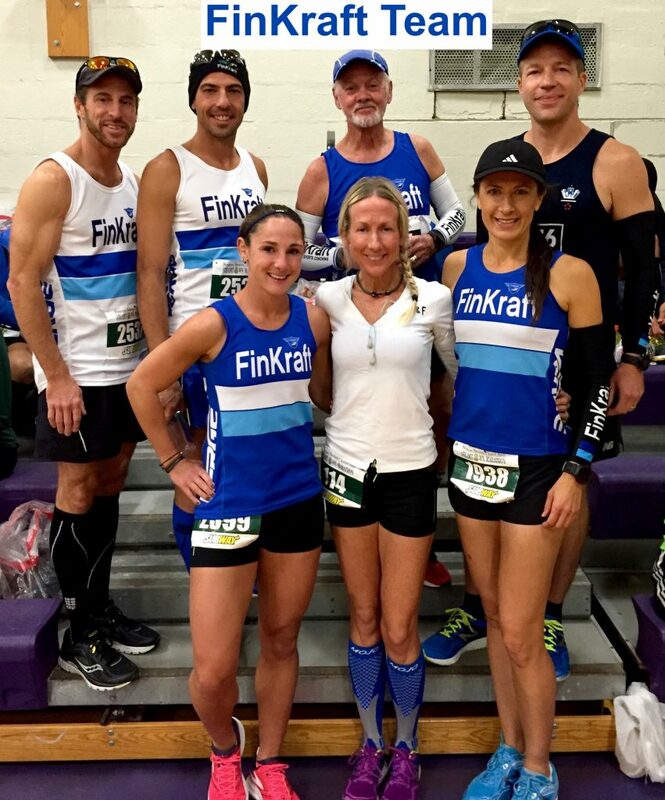 We’ve ran multiple 5Ks together, but the biggest race of all was the Steamtown Marathon 2015. Sharing this moment with my love, my teammates, their families, my husband’s sister and kids made the experience much more rewarding and memorable. To have that support from people that understand the challenges associated with running helped me get through the difficult moments. The bond that we developed and the connection we made will last a lifetime. I completely agree Gabrielle! I enjoy running the most when I’m with my friends. The time and the miles fly by!!!! I know! It’s also so motivating especially when the partner inspires you to run faster. Thanks for sharing this story, congratulations for such a wonderful journey and what a wonderful community! 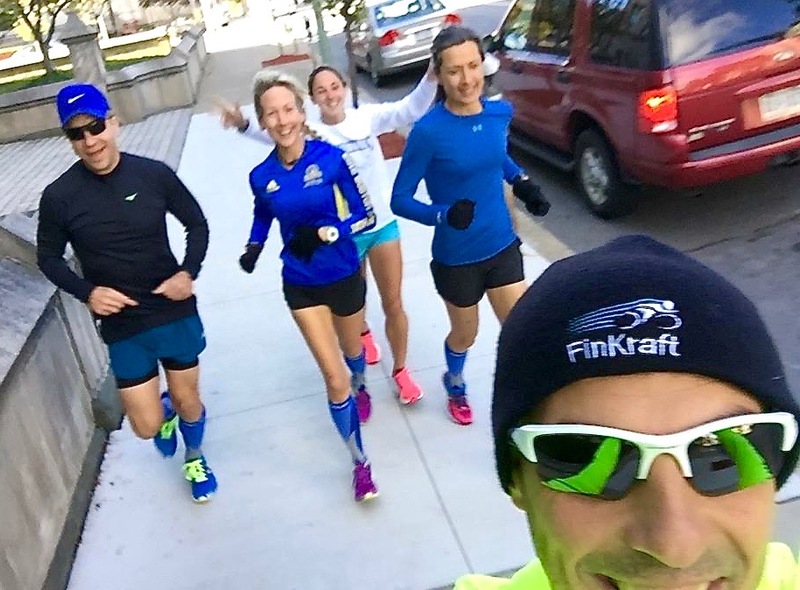 I agree, running with your spouse and a supportive group/team helps achieve optimal results….no question! It’s been an amazing journey this far!!! Running with friends and with support always makes it more fun. And, having run with you so many years ago in college, I can attest that running with you was always fun! Come to think of it, anything with you was fun! Great job with the blog, my friend. Thank you so much! I have great memories with you as well. May be we can find a race that we can run together!